Hi Janis. I agree that it is very important to keep the body moving. We have to prevent stiffness by getting up off our chairs every so often to stretch and move. Hope you find something that works for you. Exercising with a seniors group is something that I would like to try eventually when I find some time. I agree it's hard when your body hurts. For now I'm mostly doing walking in place or gentle stretches. I want to get back to the health club so I can walk in the heated pool. That makes it easier on the joints. I have done Tai Chi in the past & it helps. I have several yoga tapes & would like to try them. 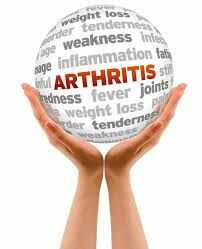 Yoga & Tai Chi are recommended by the arthritis association. Spark 's does have a chair exercise group that may be of interest to you. Whatever you decided to do it's important to move daily. It helps keep your joints working & keep your bones strong as we get older, something I am just learning at 61. Start slow try something each day and keep pushing forward.